Ernesto Valverde: If we continue thinking about dropping out, we will continue losing. 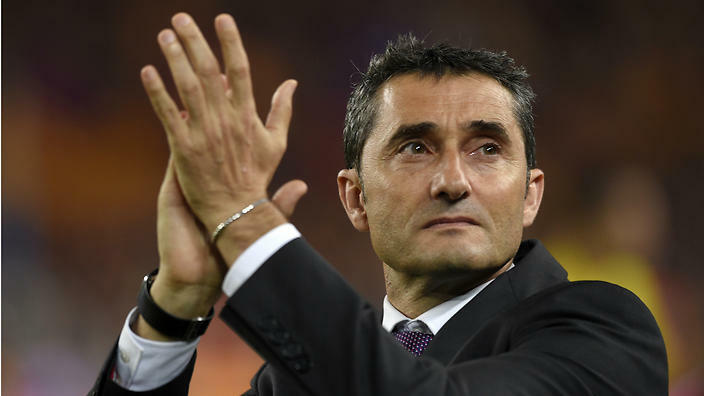 Barcelona`s coach Ernesto Valverde urged his players to recover after eliminating the Champions League and to concentrate their efforts in the Spanish championship. “The team is good considering the situation is very difficult, maybe this is our second hardest period since August, and after that the team started great series, but it is a pity that we dropped out of the Champions League. for us, pity and for the fans. After all, we can not wait for the next game to come. If we continue to think about that game, we will continue to lose. We can not stay home and tear tears for what happened. La Liga gives you one persistence. The Champions League is different. Each allowance is expensive. This is certainly not the worst moment in my career. Obviously, the moment is heavy, I can not deny. When we lose, we must be more cooperative than ever, “Valverde said. For more news check our page sport news. Join the daily soccer predictions here. ← Marcelo has announced the best players he has played through his career. Copyright © 2016 Asian Betting. All rights reserved.